UPROAR! A Benefit for 5050by2020 - Jill Soloway & more! 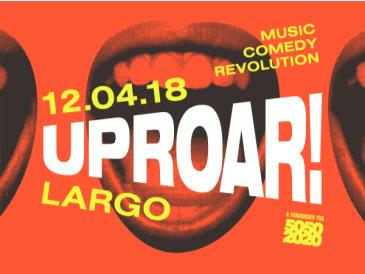 A benefit for 5050by2020 - MUSIC COMEDY REVOLUTION - hosted by Jill and Faith Soloway aka "The Soloway Brothers" featuring Janaya Khan (Black Lives Matter), Nithya Raman (Time's Up), Sabrina Jalees, Danielle Perez, Favianna Rodriquez & surprise celebrity guest!